From 5G to Blockchain to the latest in wellness tech and lighting, here's a roundup of the the podcast's most interesting (and most listened-to) moments of 2018. Sam Woodward of Lutron (who's also CEDIA's Training Volunteer of the Year for 2018) is busily working on a whitepaper called "Considerations for Quality of Light in the Home." This preview includes info on Correlated Color Temperature (CCT), Pulse Width Modulation (PWM) versus Constant Current Reduction (CCR) for LED dimming, and other issues including glare factors and individual preferences for lighting in the home. For more info on CEDIA, visit cedia.net. The end of the everything being "smart" – everything will be "artifiically intelligent,"
Peter, Walt, and Ed also reflect on 2018: "A year of evolution, not revolution," according to Aylett. CEDIA Tech Council 1848: Julie Jacobson Sees the Future! Julie Jacobson of CE Pro joins Ed and Walt, unwraps her crystal ball, and talks about the trends that are ahead for 2019. The trio chats wellness, lighting (including low-voltage solutions), "extreme" cord-cutting, 5G, labor shortages, and a lot -- a LOT -- more. CEDIA's Senior Director of Education, Samantha Ventura, joins us to talk about one of her areas of expertise: developing your leadership skills. Whether you run a small firm, a big business, or a department within an organization, Ventura has advice for you — advice that's also becoming part of new CEDIA classes. Fore more about CEDIA, check out https://cedia.net/. The Premier Group has a history of working with top architectural and design firms to achieve award-winning results. We talk to the integrators and two of their collaborators, One 10 Studio and Gary Nance Design. Learn about CEDIA at cedia.net. Robert Heiblim has sold stereos, changed the course of Denon, introduced CDs to record execs, impacted federal legislation, and even befriended the band Devo. His stories are incredible, his knowledge is vast, and there are dozens of nuggets of advice — both business and personal — in this freewheeling chat. And for more on CEDIA, go to cedia.net. CEDIA Tech Council 1841: How Content Changes Tech — AR, VR, 4K, etc. John Penney barely scratched the surface in his keynote at CEDIA Expo 2018. Here the Executive Vice President of Consumer Business Development and Strategic Partnerships for 20th Century Fox digs deep into the ways content built for 4K, VR, AR, and more will change and inform the tech you integrate — and vice-versa. For more info on CEDIA, please visit cedia.net. For the 2019-2020 term, there are four (4) open elected positions — one (1) to be filled from the EMEA region, and the remaining positions to be filled from the entire global membership. To implement this regional representation, the candidate from the EMEA region receiving the most votes will fill the EMEA-designated position and the top three (3) candidates from the rest of the world will fill the remaining (3) three seats. Voting will remain accessible until October 19, 2018. Each member company may cast one ballot. As CEDIA has transitioned to a single board representing the global CEDIA membership, it is important to note that all member companies are eligible to vote, regardless of where they are located. Company administrators may cast their ballot here. You can find more info each candidate here. The Mobile World Congress Americas Conference was held in Los Angeles Sept. 12-14. Michael Heiss was there, collecting the very latest info on 5G deployment. Here’s his report. Did you miss any of our podcasts from Expo? We've picked some highlights from our daily Tech Council roundtables from the show floor and turned 'em into a quick, digestible overview. Spoiler alert: There were a LOT of packed classes at Expo, and Geoff Meads (Presto) put in some serious hours in the instructor's chair. Geoff joins CEDIA's David Meyer, Ed Wenck, and Walt Zerbe for this floor/education recap. For more info on CEDIA, go to cedia.net. And Heather Sidorowicz (Southtown Audio Video) on ensuring you're communicating with clients using the "human factor." A group of Tech Council stalwarts shares their thoughts from Day One of CEDIA Expo: Mitchell Klein (Z-Wave Alliance), Alex Capecelatro (josh.ai), Bill Skaer (Audio Design Associates), and Michael Heiss (M Heiss Consulting) join host Walt Zerbe. Highlights from CEDIA Talks (and more) with Geoff Meads (Presto) speaking about data encryption via Blockchain, Joe Whitaker (The Thoughtful Home) on marking your firm with Alexa skills, and Jennifer Jolly on what it's like for a newbie at the show. The CEDIA Designer (formerly "the Cinema Designer") is a tool that helps you design home cinemas, and CEDIA members now have preferential access to this award-winning software. We speak with its creator, Guy Singleton, and Peter Aylett of Archimedia who's very familiar with TCD. Ready for San Diego? Julie Jacobson of CE Pro joins us for a CEDIA Expo preview. What trends and new goodies is she excited about? Sign up for Julie's webinar on Expo here. Find out more about CEDIA at cedia.net. What's the genesis of an integrator's interest in residential tech? What makes them tick? What gigs are they suited for after they leave the world of home technology integration? Bruno Napoli and Kris Hogg — both on the cusp of new jobs — join us for this roundtable. For more about CEDIA, check out CEDIA.net. He calls it "The Midsummer Mikey Report," in which the man behind M. Heiss Consulting brings us up to speed on a variety of TV topics. There's also a preview of what's to come at Expo from both Mike and the 2018 keynote speaker, John Penney. Mike's got a new website, too. Find it at michaelheiss.com. 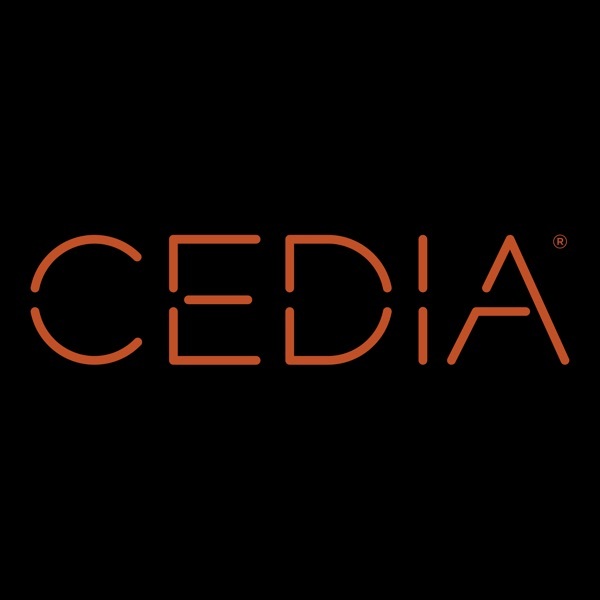 Want to learn more about CEDIA? Check out CEDIA.net. Here's more info on CEDIA in general. It's a "Best Of" show, with highlights from our chats on Blockchain technology, the rollout and impact of 5g, and what builders think about smart home tech. Suppose a building could be "wellness certified" in the same way it might be LEED Certified? That's the concept behind Delos, and we speak to the CEO of that company, Paul Scialla. Scialla fills us in on what the potential here may be for the residential integrator. We talk HVAC, climate control, and indoor air quality in smart homes with Jon Fischer, HVAC Automation Sales Manager for Aprilaire. PLUS: Nominations fore the CEDIA Board of Directors are NOW OPEN. Omar Hikal of the Governance Committee gives us the deets. Find more info here. Something of a two-parter here: Matt Scott talks about serving on the CEDIA Board (and the importance of voting, nominating, and volunteering), and then dives into his experiences as an integrator with a focus on lighting design and making those projects look spectacular. Mario Leone is a CEDIA volunteer who also works at Rowan University in New Jersey. One of the projects he worked on with the students? MemSat, a four-inch cube satellite launched in May as part of a NASA project. He talks about this and other projects that inform the knowledge he brings to his integration projects. Here's the class Mr. Leone will be teaching at CEDIA Expo 2018. Mike Heiss (M Heiss Consulting), Rich Green (Rich Green Design), and Eddie Shapiro (SmartTouch) share their takeaways from InfoComm 2018 — and how those trends will impact the CEDIA industry. CEDIA's Dave Pedigo, Walt Zerbe, and Ed Wenck are joined by Ian Bryant (ZenArray) to talk about all the goodies that are going into CEDIA's new HQ and training facility in Fishers, Indiana. ALSO: DO NOT forget to take the CEDIA Size and Scope survey! It only takes a few minutes, the info helps us help YOU, and there's free stuff involved. Here's the link. A lot of new technologies directly impact the CEDIA universe, and this podcast covers literally EVERYTHING the Tech Council has been mulling over in the last few months. It’s a free-wheeling discussion that covers topics ranging from AI to AR to the latest developments in the labs at Amazon and Boston Dynamics. As we move towards renting and streaming our music and combining that with files we own, how can one best manage all of this? What formats should we embrace and what’s going to handle the aspects switching between them? CEDIA's Ed Wenck and Walt Zerbe are joined by Green, Christiaan Beukes (Sphere Custom Design), and Wayne Hyde (CAVD). This preview of CEDIA Expo 2018 includes education previews from CEDIA's Dave Pedigo, a dive into an "Architectural Cinema" class taught by John Bishop, a look at the additions Emerald Expositions is bringing to the table with Brain Pagel, and a rundown of content provided by CE Pro with Jason Knott. Register here for CEDIA Expo 2018. Day Two of the CEDIA 2018 Business Xchange included incredible epiphanies -- we uncover the “human-centric” products and processes with John Buchanan (Meridian), Nick Berry (Origin Acoustics), Ryan Thompson (Portal). This recap of the 2018 Business Xchange takes the emerging trends developed by the Tech Council -- and asks groups of integrators and manufacturers (including Lutron, Sonos and Dish) which trends are most important, most likely to have impact, and how to address those trends with concrete action plans. Brian Markwalter speaks with CEDIA’s Dave Pedigo, Walt Zerbe, and Ed Wenck about the development and deployment of 5G. “NAB” stands for the National Association of Broadcasters — and “The NAB Show” is an annual event that now showcases everything and everyone creating and distributing content. Michael Heiss (M. Heiss Consulting) attends each year, and 2018 was no different. Sam Woodward from Lutron, Peter Aylett from Archimedia, and Iain Shaw of Brilliant Lighting join the CEDIA podcast crew to parse the difference between lighting design and lighting control design — and reveal a ton of new info in the offing. Our guest for this podcast, Courtney Berg, has been consulting small businesses on HR issues for years, and she’s volunteered as an instructor at numerous CEDIA Expos. She’s hosting three small-business HR webinars for CEDIA this year: The first, titled “Employees 101, The Employee Life Cycle,” was presented on April 5, 2018. Register for the event at cedia.net/business-xchange. Sam Woodward of Lutron and Mark Warburton of Ivory Egg both attended “L&B” in Frankfurt, Germany, and they’ve got info on the latest lighting tech. Peter Aylett (Archimedia) also joins in. Cloud, mist, fog — nope, this isn’t about the weather, it’s about these terms as they apply to computing. Alex Capecelatro (Josh.ai) and Mike Maniscalco join CEDIA’s Dave Pedigo, Walt Zerbe and Ed Wenck to discuss the concepts. Plus, CEDIA’s David Meyer calls in from Down Under to clue us in on the White Papers on HDMI he’s just finished for our members. David Mudd of the BSI Group joins CEDIA's Dave Pedigo, Ed Wenck and Walt Zerbe to speak on the Internet of Things -- namely, the risks and rewards of the IoT. Brought you you by Streem.pro. In this episode, we chat with builder/remodeler Christopher Wright and designer Adam Gibson (a kitchen/bath specialist) about working with integrators – and the importance of technology to their clients. Brought to you by Streem.pro. CEDIA's Walt Zerbe and Dave Pedigo are joined by Sam Woodward (Lutron), Peter Aylett (Archimedia), Ken Erdmann (Erdmann Electric) Michael Heiss (M Heiss Consulting), and Rich Green (Rich Green Design). Brought to you by Torus Power. Today’s topics in this podcast from Integrated Systems Europe include: Design Thinking (what we’ll be covering at CEDIA Business Xchange), GDPR (General Data Protection Regulation) Compliance, and the challenges of digital marketing (“Stop speaking in Klingon.” – Geoff Meads). Walt Zerbe’s guests include Geoff Meads (Presto AV Ltd), Julie Jacobson (CE Pro), Michael Heiss (M Heiss Consulting), Mike Maniscalco (Ihiji), and Rich Green (Rich Green Design). DC micro grids. The maturation of voice control. The future of video content. POWER VAMPIRES. All of that’s covered in this podcast from Integrated Systems Europe. Walt Zerbe hosts a great roundtable in this one: CEDIA’s Dave Pedigo, David Weinstein and Sam Woodward from Lutron, and Ken Erdmann of Erdmann Electric who all attended Day Two of ISE. Walt Zerbe hosts from Day One of ISE (Integrated Systems Europe) with guests Geoff Meads (Presto AV LTD) and Sam Woodward (Lutron) with a check-in from Michael Heiss (M Heiss Consulting). There’s an incredible dive into the technology behind Blockchain — and how it WILL affect your business. Heiss tells CEDIA's Ed Wenck and Walt Zerbe all about what's hot -- and not -- for 2018 in the realm of video tech. The co-founder of Ihiji joins CEDIA's Walt Zerbe and Ed Wenck to talk about the connected home of 2018 from a network guru's perspective. Brought to you by Streem.pro. "Don't automate things people like to do." The paradox of choice. Devices making us dumber. These are all dangers noted when one walks the CES floor, but there's good news here, too -- especially when technology helps the disabled or monitors one's health. Geoff Meads joins CEDIA's Dave Pedigo, Walt Zerbe, and Ed Wenck for this one, brought to you by Streem.pro. "Just because you can, doesn't mean you should." Walt Zerbe wraps up CES 2018 with Gordon van Zuiden, Mike Maniscalco, Geoff Meads, and Rich Green. Is the end user getting overwhelmed with smart stuff? CEDIA's Walt Zerbe is joined by Geoff Meads, Rich Green, and Peter Aylett to recap Day Two of CES. Rich Green and Peter Aylett join CEDIA's Walt Zerbe to review Day One at CES, including the Intel keynote address. CEDIA's headed to Orlando for Design and Construction Week. CEDIA's Senior Director of Industry Relations Dave Chic fills us in on the association's outreach to builders, architects, and interior designers there and elsewhere. Nope, this isn’t about the cult film! In this episode, CEDIA Board Chairperson (and President of the Erskine Group) Dennis Erskine and Anthony Grimani, President of PMI, Ltd (and more audio bona fides that you can list) join Walt Zerbe to talk about home theater room design. Gear is great, but in the wrong room, the experience will suffer mightily. CEDIA stalwarts Guy Singleton and Ken Erdmann join Walt Zerbe and Ed Wenck to talk power management (and jobsite nightmares). Eric Bodley, President and CEO of Future Ready Solutions and Bodley and Associates, (and 2017 CEDIA Lifetime Achievement Award winner) joins CEDIA's Dave Pedigo, David Meyer, Walt Zerbe, and Ed Wenck to talk cables and HDMI. CEDIA Tech Council 1745: A.I. A.I. : Two little letters -- and a universe of implications. SMPTE's held their annual conference, and we've got the info on what's next when it comes to 8K, HDR, ATSC 3.0 and more -- and how it's definitely going to impact your business. Julie Jacobson (CEDIA Fellow and CE Pro Editor) joins Walt Zerbe and Ed Wenck for an overview of what the Council's all about: How the Council acts as an "early warning system" by identifying tech that can create both challenges and opportunities, and what's on the Council's radar right now. The KRACK Attack. Breach insurance. The non-binary nature of cybersecurity. All of that's covered -- as well as what FIREFX's Larry Allhands experienced during the Houston floods as a member of the Texas National Guard. Michael Heiss joins Dave, Walt, and Ed to unpack the latest gadgets and notions from Google, Amazon, and others -- and talks about selling experiences as opposed to stuff. Seven candidates have been nominated for the CEDIA Board. We asked each candidate the same questions (with time limits on their answers) -- here are their responses. Voting for the CEDIA Board of Directors ends Oct. 16, 2017. Find more info at CEDIA.net. Friday's Talks included Henry Clifford on "selling to the customer's pain points," Futuresource Consulting's research on the custom industry, and Jay Miller on working with architects, builders and designers. we also check in with Mike Maniscalco on the CEDIA classes he was teaching, and Walt Zerbe weighed weighed in with some big-picture thoughts. Enjoy highlights from CEDIA's Talks at CEDIA 2017, including Laura Mitchell on aging in place, Joe Whitaker on guerrilla marketing, Rich Green on AR, VR, and MR, Sam Woodward on lighting, and Dave Pedigo on some fresh industry research. Same Woodward of Lutron dives into lighting, new advances, all the acronyms -- and the stuff he blew up as a Hollywood special effects expert!